Break away from the bounds of cables and explore the virtual world anytime, anywhere. Using high - quality silicone Accordion structure, Super light, portable, collapsible, 170 g, the first true feather weight VR allows your cell phone to turn into your very own giant screen cinema, giving you the ability to travel in time and space. Weighs only 180g, which is much lighter than helmet type products. 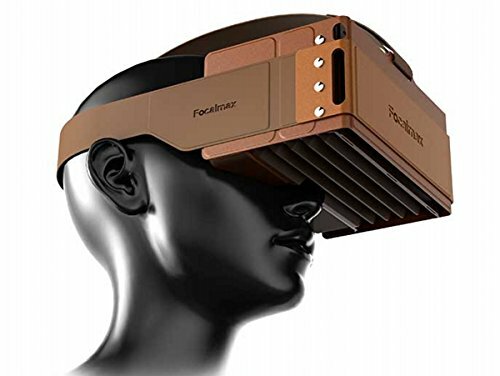 This Headset VR box uses skin-friendly nanomaterials with a soft texture that prevents any discomfort. It is also tested for comfortable use for up to 4-6 hours. The structure of the Accordion allows the user to experience the quality of a helmet type product while at the same time having a compact product for portability. FOV 120° for 4.5''-6" smartphones，when images appear in front of the eyes, the boundaries can be forgotten due to the wide viewing angle. Fully immerse into and explore the world of dreams. A light luxurious VR experience is created using skin-friendly materials made from advanced nanomolecules that are gentle with your tender face. By getting rid of the unnecessary bulk and excess, this virtual reality headset give you a light and comfortable VR experience that you can take with you anywhere. If you have any questions about this product by Focalmax, contact us by completing and submitting the form below. If you are looking for a specif part number, please include it with your message.